Written by Tjasa Zajc on March 2, 2019 . Posted in competition, digital health, India, MEDICA, startup. 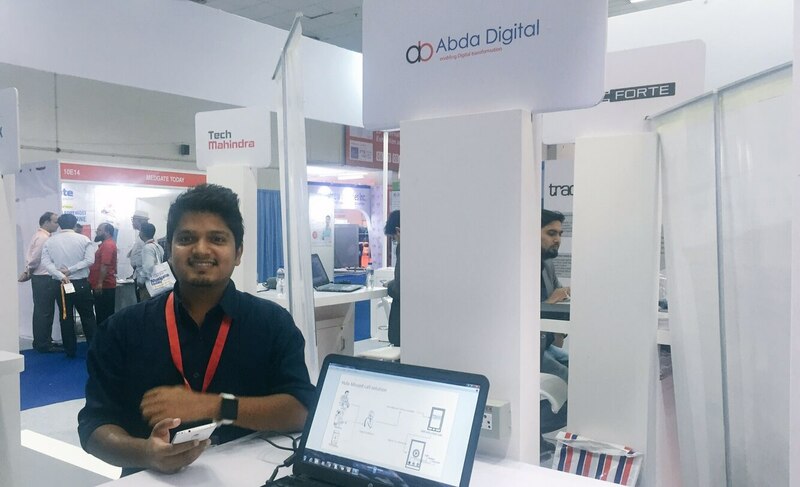 We were back in Delhi for Medical Fair India 2019 and mingled with the vibrant health-tech community in Delhi – aka digital dilli. Partners like Data Natives, the global community of data-driven pioneers, Startupbootcamp Digital Health, one of the most serious health accelerators, GINSEP, the German Indian Start-up Exchange Program, and 91springboard, India’s vibrant coworking community for start-ups, freelancers and business owners with a start-up mindset, together with our global ambassadors Aline Noizet and Muthu Singaram curated an awesome 3-days conference program held at the FTR4H lounge in hall 10 of Pragati Maidan exhibition centre. The highlight has been the inaugural FTR4H India Award, which has been held on Friday Feb 22ndat 16:00 live on stage. Start-ups from all over India had 3 minutes to pitch their digital health solution to the audience, the media, but even more important, to the jury. First place and winning team were Janitri https://janitri.in/, who are working with a vision to see a world where no mother or baby die during pregnancy, delivery or post-delivery. The team is working on KEYAR which is an affordable, easy to use and wearable intra-partum FHR & contraction monitoring device. The disposable sensor patch sticks onto the mother’s belly to read up contractions and FHR. The device monitors both the parameters, analyses the pattern and further gives colour coded/sound alert if foetus is in distress. KEYAR communicates with their mobile application DAKSH which is an intrapartum monitoring mobile application for automated WHO partograph generation. DAKSH allows the staff nurse to register and enter vital signs of a pregnant woman. It reminds the staff nurse to monitor the labor vitals, as per the standard WHO intrapartum protocol. It also generates alerts in case of complications, based on an in-built algorithm. The team of Yostra www.yostra.com got second place. They are a healthcare technology firm pioneering smart innovations to make healthcare more effective, affordable and sustainable for the cost sensitive developing market. Yostra is an interdisciplinary team of clinicians, designers and engineers, brought together by the common goal of making a positive impact in affordable healthcare. Diabetes is their core focus area and their team is working on Diabetic Peripheral Neuropathy screening and Diabetic Foot Ulcer treatment, both of which have far reaching impact on public health. NEURO TOUCH www.neurotouch.co is a Point of Care, battery powered, multi-parameter diagnostic device for professional doctors to screen diabetic patients for symptoms of Peripheral Neuropathy. It helps the clinician to perform four tests – Tactile Threshold (Monofilament), Vibration Perception Threshold Test, Thermal Perception Threshold Test and Infrared Thermometry. Using the smartphone-based NEURO TOUCH app, the data can be transferred to a web server which generates a test report. Third place went to Mutelcor https://mutelcor.com/digital-health/, a technology consulting group headquartered in Germany with strong expertise in telecommunication, IoT and Digital Health technologies. Mutelcor Digital Health solution comprising of a doctor web portal, patient mobile app and intelligent patient data analytics tool is a secure, HL7 Standards compliant, cloud based end to end remote patient monitoring platform. The solution has been successfully implemented in 8 hospitals in India with over 1000 patients enrolled in the first six months of the launch. A one month pilot trial was successfully concluded by doctors in Brazil in 2018 and another trial is expected to begin in Malaysia. Congratulations to the winning teams and to all start-ups who participated. You are now part of the Global FTR4H Society and we will do our utmost to support your ongoing journey to make this a better planet! See you next year in Mumbai March 5 – 7 2020 at Bombay Convention & Exhibition Centre for our 4th edition of FTR4H lounge in Incredible India. Written by Tjasa Zajc on January 27, 2019 . Posted in Data, digital health, India, IoT, MEDICA, startup. 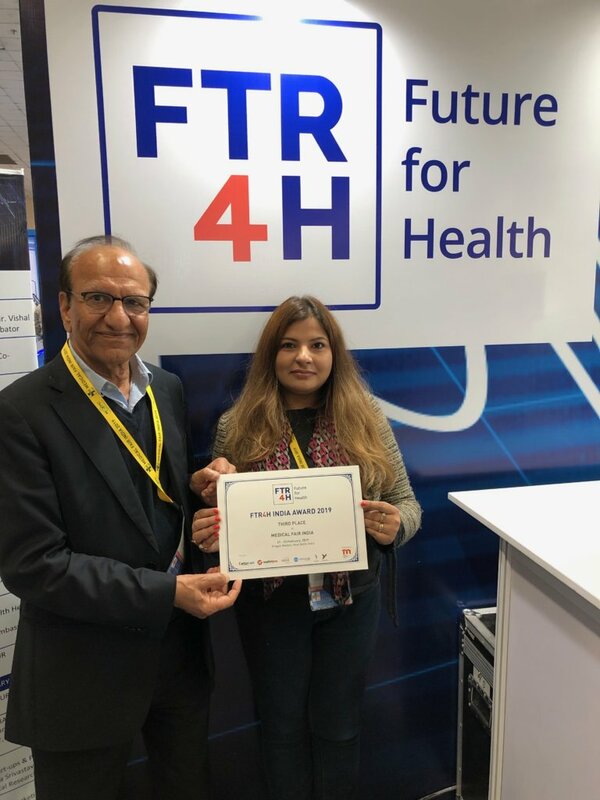 After its official inauguration in India in 2017 and a successful global roadshow in 2018 including a stop in Mumbai, FTR4H – the global digital health society – will be back in Delhi 21 to 23 February 2019 for Medical Fair India at Pragati Maidan exhibition center. The FTR4H team organizes a 120 sqm lounge and stage performance in hall 10 around the latest trends in digital health. Meet and mingle with digital health aficionados from India and abroad, with three FTR4H Global Ambassadors present at the show: Aline Noizet, Muthu Singaram, and Mark Wächter. Next to global partners like Data Natives, GINSEP and Startupbootcamp, FTR4H is also cooperating with India’s largest co-working operator 91springboard. 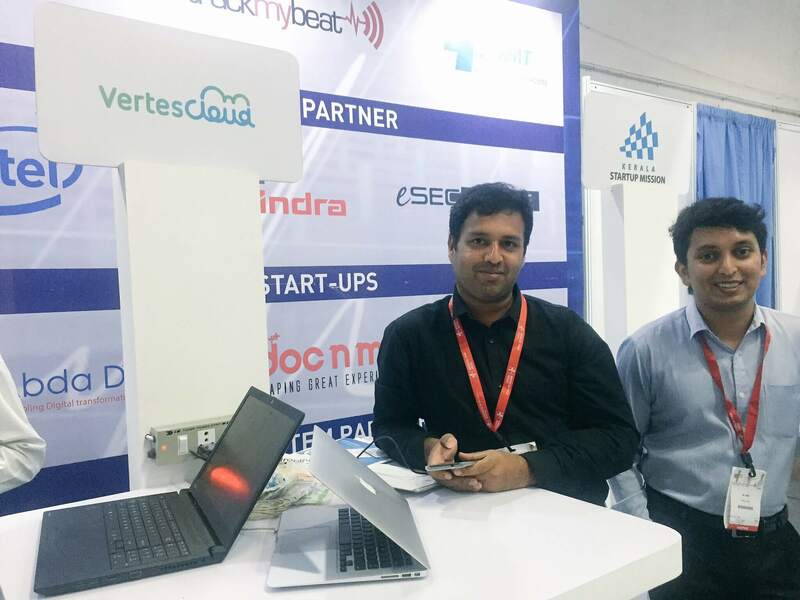 The lounge will showcase the latest in digital health solutions from exhibitors like i-Team and Winglobe, and will also be the host for startups from all over India like CardioTrack, Janitri, Onco-Connect, and Yostra Labs. A three days conference with expert talks, fireside chats, panel discussions, and startup demos will be held on site. Entry is free, just register online here to redeem your ticket. If you are interested to speak on stage in the context of how Mobile, IOT, Data, AI, Blockchain or Robotics transform healthcare or if you want to do a demo pitch of your startup free of charge, please contact ftr4h@md-india.com and give a bit of background. There is also a chance to exhibit as a startup. For INR 30,000 you’ll get a 1 sqm booth incl. logo placement in the lounge incl. WiFi, power supply, locker, access to lounge facilities and VIP guest club to meet with clients. 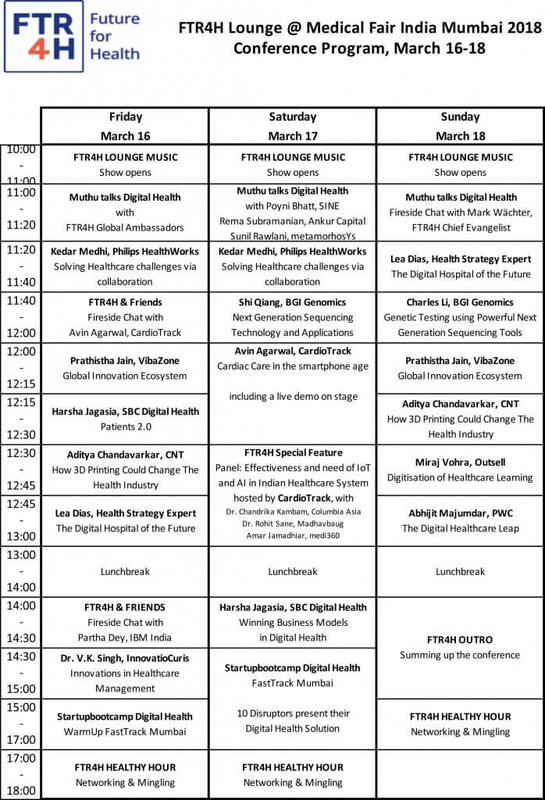 If you are driving digital health in India, the FTR4H lounge in Delhi is a must-attend event. Written by Maren Lesche on August 18, 2018 . Posted in India, Weblog. From 29th till 31st of August, FTR4H will present selected digital health startups from Asia at the Medical Fair Asia in Singapore. One of it is Medikabazaar from India. We sat down with its CEO Vivek Tiwari for an interview. FTR4H: Vivek, what are you doing at Medikabazaar? 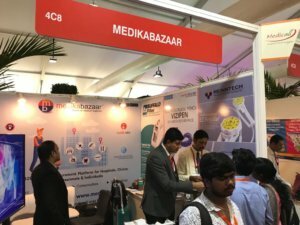 Vivek “Medikabazaar is India’s largest B2B online medical supply platform enabling hospitals and other medical establishments to search and order quality medical equipment and supplies. The medical supply chain in India is highly fragmented at the moment. I myself had experienced this during my earlier assignment of setting up and managing multi-location tertiary care clinics in tier 2 and 3 cities in India. These cities and remote locations in India struggle to get quality and timely medical supplies because conventional distribution networks do not have presence in such places. FTR4H: You have been an activist for digital health in Asia for a quite a while. What are the latest trends in eHealth in Asia? FTR4H: You are a young startup yourself. What have been the biggest hurdles in your journey from a bootstrapped company to India’s largest B2B marketplace for medical devices? Vivek: “Indian e-commerce space is still in its nascent stage. While the B2C models have gained popularity in recent years, B2B markets still remain fairly untouched. We at Medikabazaar aim to disrupt the B2B space. Adoption of the online platform by business buyers posed many challenges to us. We had to do massive ground activation to explain the concept to the customer. We had to make similar efforts to get manufacturers and sellers on board as the concept was entirely new to them. 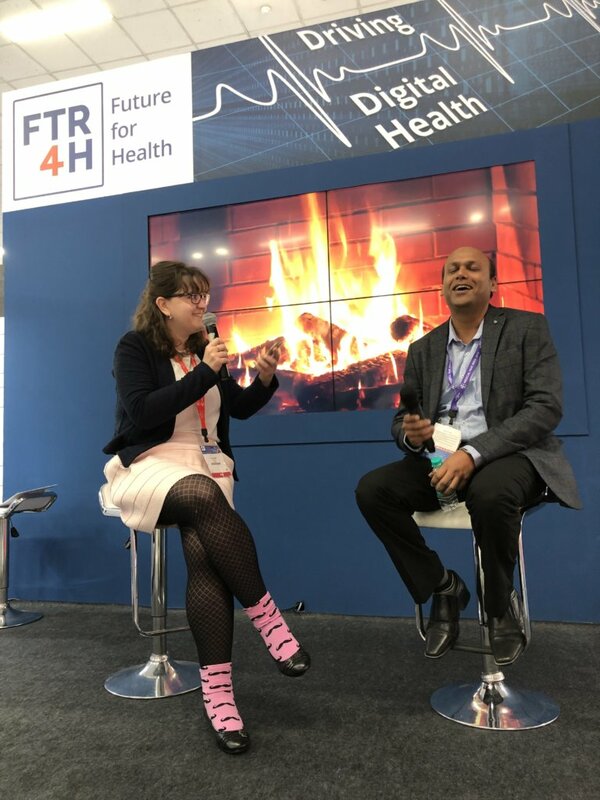 FTR4H: What challenges do digital healthcare companies face while scaling up in Asia – be it from India to Singapore or from Germany to Asia? FTR4H: What can other entrepreneurs learn from your startup journey? Vivek: “Planning, hard work,and team spirit are three mantras that every entrepreneur should have. I too followed this. Nothing can work without a detailed plan, sharing the vision with the team and micro-management in the initial years. The reason is that the team and every process is new and both need to undergo a journey to get streamlined. Unless and until an entrepreneur is involved at the ground level, they will not understand execution challenges. FTR4H: What are you looking forward to in Singapore? Thanks for the interview and see you at Medical Fair Asia 2018 in Singapore! What will technology bring to the healthcare market in India? Written by Tjasa Zajc on March 9, 2018 . Posted in India, MEDICA. FTR4H is returning to India on March 16th this year. Last year prior to the conference held in New Delhi, we prepared an overview of things to watch for when entering the market in India. At the event, we dived into opportunities in India from the VC perspective, and we also highlighted problems startups are facing when looking for investments. One of our speakers will be Pratistha Jain from Vibazone, who shared some of her thoughts on the industry. “A couple of impediments have stifled the Indian healthcare market; the technology penetration in Tier II and III cities is a challenge due to lack of affordability, cost involved, demographics, income and awareness. The med-tech industry has not been regulated all these years, with inconsistent interpretation and application of regulatory standards being the norm. The new medical devices rules that have been executed this January, the Medtech entrepreneurs will have more clarity and specificity on the policies,” writes Prathistha Jain in her opinion piece on Youstory. The healthcare landscape has evolved over the last few years. The image of a person getting a check-up has changed; in the twentieth century, the doctor would come over armed with a bag of tools and old-fashioned medical know-how. Some interesting digital healthcare solutions that have been showing promise include imaging, analyzing, processing and computing software with deep learning capabilities, a collaborative space for connecting healthcare stakeholders, telemedicine addressing the lack of accessible healthcare, management tools and platforms to standardize procedures, care delivery, prevention and wellness solutions and non-invasive point-of-care diagnostics. Digital transformation will have a great impact on the healthcare space. This transformation could be through various new technologies such as mobile (feature phones, smartphones, phablets, tablets, wearables AR/VR, voice assistants) mobile tools and apps to improve efficiency and patient safety, manage addiction treatment and chronic diseases, IoT (Internet of Things, sensors, drones, robots, 3D printer, smart cars and homes to improve care delivery systems and emergency systems, data (big data, smart data, genomics data, bio-informatics) to quantify risk, precision medicine and disease diagnosis and artificial intelligence (medical diagnosis, robo-doc, health advisor, machine learning, health assistant, new health) to augment the diagnosis and treatment process. Looking at the trends the future for healthcare looks bright and promising with some minor impediments to be faced through the journey. “Just creating an app does not mean you have a company. The key key question is: are you solving a problem?” These were the opening words of Pradeep K. Jaisingh, Founder of HealthStart India, at the VC Panel at #FTR4H program at MEDICAL FAIR India in New Delhi. Panel was organised by HealthStart. The main aim was to highlight VC perspective on the digital health startups scene in India. As said by Mr. Jaisingh, the basic background of technology needs to be that it improves the outcome. A solution needs to solve a problem and be sustainable. From the macro perspective, potential for disruptive innovation in India is big, said Mr. Jaisingh. Especially in terms of diagnostics, treatment and management of chronic diseases. The doctor’s expectations in the near future are high. Artificial intelligence can be utilized to effectively synthesize patient information before his visit in the hospital or a doctor’s office. What do the doctors need? Private Equity Professional Mayur Sirdesai, Director at Somerset Indus Capital Partners, warned, the key issue in digital health technology and innovation is probability of adoption. “When a doctor has a line of patients in the waiting room, he can’t be bothered by entering data in the computer,” he mentioned. The second challenge is payment for digital solutions. Revenue model of a startup is crucial to implementation of a solution in practice. In India, most payments are still out of pocket which might change with the development of the insurance market. 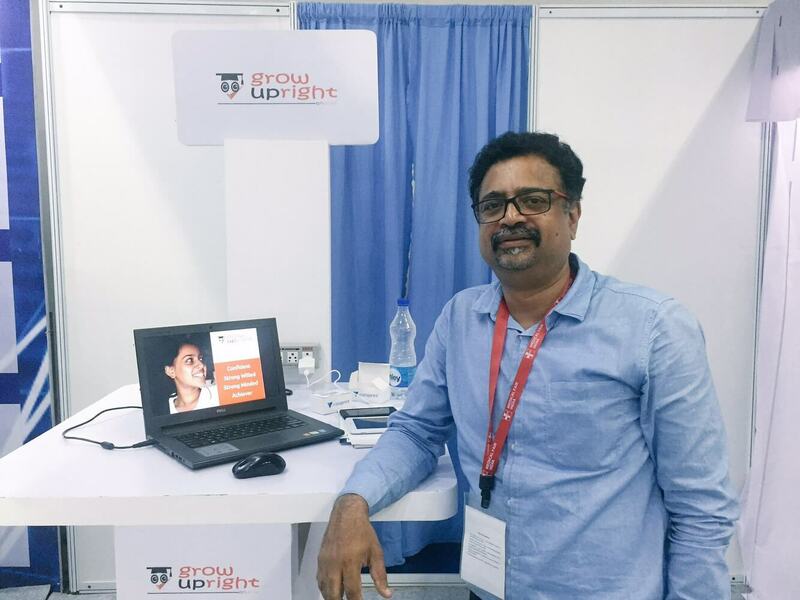 From the perspective of Shuchin Bajaj, Founder Director at Cygnus Medicare, a big potential in India is in putting more effort into medical education of other specialists and healthcare providers, apart from doctors. “We are to doctor-centric. I am a big fan of personalized medicine and “ayurveda” in that sense. These sciences look at the patient as an individual while medicine takes the patient as a dataset. Ayurveda does not treat the disease,” he said. 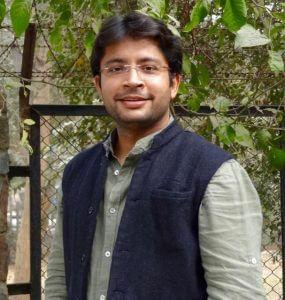 Vikram Gupta, Founder and Managing Partner at IvyCap Ventures Advisors described India as a unique market because of the payment system. “In the developed world insurance takes care of healthcare. Our environment drives behaviour. Hence healthcare consumption is different compared to the rest of the world. The opportunities here are of different nature than in other countries. One thing to look at is infrastructure. Ratio of hospitals does not match population needs.” Huge opportunities lay in financial assistance for healthcare, concluded Vikram Gupta. Written by Tjasa Zajc on April 3, 2017 . Posted in India, IoT, MEDICA, Mobile. FTR4H is in full preparations for MEDICAL FAIR INDIA 2017. Before arrival, we talked to Incubators, Companies, Start-ups, Experts… Here’s what you might find useful if you’re thinking about doing business in India. India ranked at 130 out of 189 economies in 2015 according to the World bank. 4% of the GDP go to healthcare; around 60% of expenses for healthcare are out of pocket, according to OECD. Almost a third of the population is supposed to own a smartphone by 2019, claims GSMA report. All this goes in favour to digital health or at least mHealth solutions, but keep in mind plenty of good startups on the ground are busy tackling everyday issues. The country is extensively working on using all the advantages of digital solutions to improve people’s lives and health. Heard of Aadhar? It’s unique-identity number issued to all Indian residents based on their biometric and demographic data such as eyes and finger prints. Nishal Arvind Singh, Founder NASS & Associates IPR Boutique law firm and Legal policy advisor to Honourable Health Minister Satyendra Jain of the Delhi Government explains the plan behind the project: “All payments will be linked with aadhar, to avoid duplicity, promote increase in online payments and disbursement to beneficiaries under many governmental schemes for education, pension etc. This will enable direct transactions into beneficiaries bank account, which will prevent corruption,” says Arvind, adding that in time, it will be connected with healthcare. The unique identification number of a person will prevent duplication and confusion in data management and insurance claimes with others with the same name. 2. Do you have enough time for business here? According to a World bank report from 2006, it takes 56 procedures and approximately four years for a simple commercial contract in India. As explained by Prabhu Guptara, a distinguished Professor of Global Business, Management & Public Policy at William Carey University, India, a Member of Boards of different companies in the UK, Germany and Switzerland, the problem is the bureaucratic system. It takes years for the legal claims to be processed, let alone enforced. It is a slow system, so brace yourself with energy and patience to conquer it. Top class. World renowned. There’s a reason medical tourism flourishes here. However, as Sachin Gaur warns, 80% of people live in rural areas and only 20% of facillites are there. There are different initiatives to improve access, such as the the mohalla (neighbourhood) clinics. As explained by the hindustantimes, they were started with the aim of taking diagnostics and treatment of simple ailments to people’s doorstep and reduce the footfall in tertiary care hospitals. 4. Can you make a subscription plan under a dollar a month? India has 1.3 billion people, the majority is poor. “2/3 of the population can’t be your target market. 30% of the population lives on less than 2.5 dollars/day, another third 5 dollars/day. Which still leaves you with 400 million people you could address,” says Prabhu Guptara. However, given the number of people, if you can design a subscription model for around 20 cents, than you might address the poorer population, says Sachin Gaur, Director Operation at InnovatioCuris. Taking into account the volume you could reach, it can turn out to be a viable business model. “If you can design a subscription model for around 20 cents, than you might address the poorer population,” says Sachin Gaur, Director of Operations at InnovatioCuris. Have you heard of HealthCode.io? It’s a platform for healthcare professionals where you can find people interested in co-creation, consulting, commercialisation, fundraising, mentoring, investing, validation. The app, as the founders claim, already has members from 52 countries, so you might find useful connections even outside India! 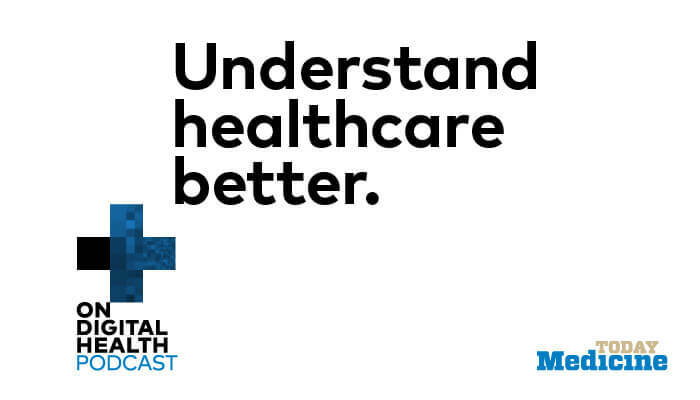 Be sure to check the two episodes of Medicine Today on Digital Health! Praphu Guptara speaks about differences in the healthcare systems in India, Switzerland or England. Sachin Gaur talks about the innovative solutions in India and problems of digital solutions and cyber security. You can find it on iTunes or Soundcloud. Written by Tjasa Zajc on March 27, 2017 . Posted in India. eSec Forte Technologies is a Global Consulting and IT Services company with expert offerings in Enterprise Application Development Services, Mobile App Development, Information Security Services, Supply Chain Management Solutions and Corporate Training. 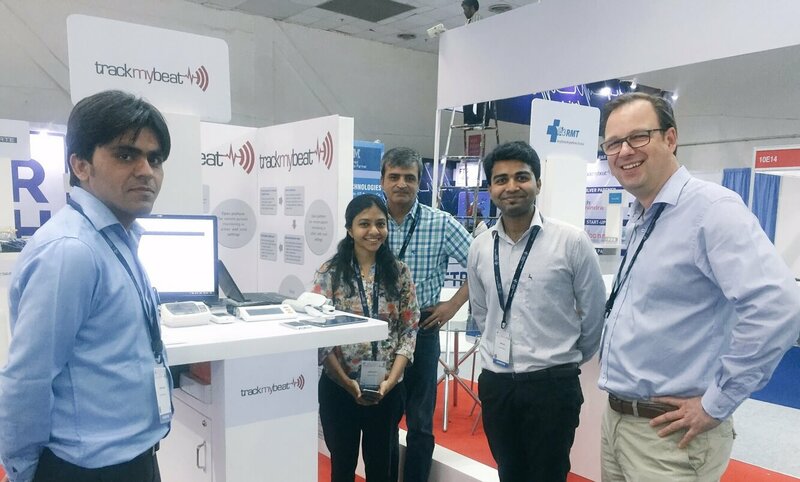 eSec Forte Technologies is a FTR4H ecosystem partner and some representatives will be present at our FTR4H Lab & Lounge at MEDICAL FAIR INDIA 2017. Curious about the program of FTR4H Lab & Lounge? Check it our here. 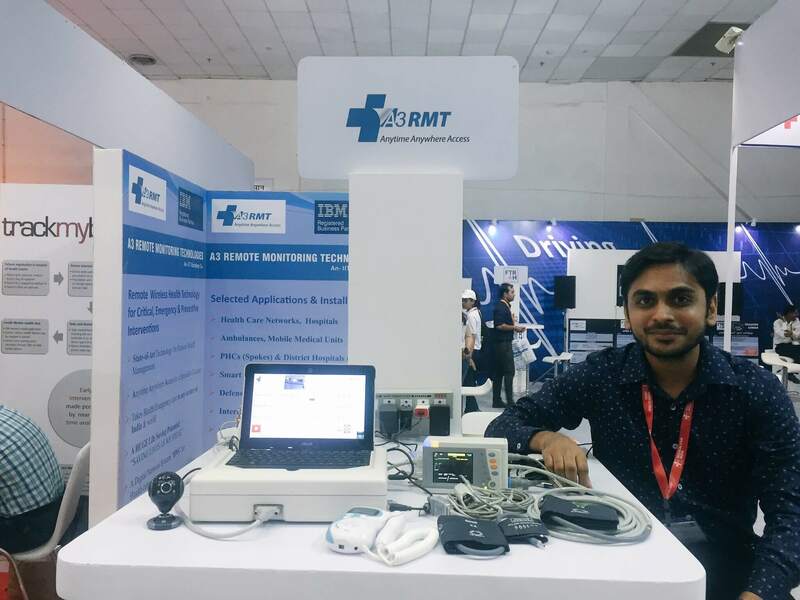 We talked to their Business Manager Surbhit Bansal about the company, their collaboration with Start-ups and presence in the Healthcare sector. eSecforte focuses on IT and security – how active are you in the area of healthcare? Where are you present in India? Surbhit Bansal: We are a company with our core business of IT and Security. We are present in India and abroad in the healthcare domain, working with organizations such as Ministry of Health, AIIMS, Max Healthcare, NACO, SOS Children’s Village International, NARI, United Health Group, Images Radiology. At Medical Fair India we will focus on presenting our Clinic Management System and Supply Chain Management System. How do you collaborate with the Ministry of Health? We have been developing software projects for the Ministry of Health through global NGOs and through direct contacts with couple of departments at AIIMS (All India Institute of Medical Sciences). The projects are generally being used for educational purposes and streamlining processes in rural India. As far as cyber security is concerned, we provide the required security services or product licenses as required by the departments. According to Mandiant Consulting’s “M-Trends 2016, Asia-Pacific Edition,” Indian organizations are more susceptible to data breaches because of poor investments in high-end security solutions. When it comes to health, cybersecurity is, in the era of growing telemedicine and mHealth solutions, so much more important. Do you know of any major health data thefts/threats/problems etc? The data is centralized and mostly with NIC (National Informatics Centre) servers and highly secure. It’s a false impression that Indian health data is being leaked. Yes, it is as vulnerable as other data but adequate security measures are being taken by the government to prevent data leakages. What does your Clinic Management System encompass? Is it only an IT system with the main purpose of enabling adequate billing or is there also any inclusion of clinical support, EHR development etc.? How can startups collaborate with you? We can support them right from conceptualization, design, development, testing and delivery of their products. Another area is helping them launch their product’s MVP by the time they establish their team and processes using our years of experience. So these are potentials what you could offer. Are you actively seeking startups to work with or acquire? What is the basic model of your collaboration with startups? If you help them, do you take equity, do you charge them a fee or something else? We are not actively seeking to acquire any startup at the moment. We prefer a Fee-based model and in case any startup looks promising we can work on equity model providing the required technical support. Is there any specific issues you could outline you see startups in India are facing? Are the issues any different than abroad according to your expertise? Where would you say the biggest differences lie? The major hurdles that we can see based on our experience is a lack in focus on operations by Indian startups. They focus too much on technology and spend heavily on resources allowing them to survive only until investor’s pockets are heavy. Secondly, many good startups don’t get funding if their founders are not from a first class Indian engineering college such as IIT. As a result many startups with solid ideas are unable to grow or survive.What are you going to talk about at Medical Fair India in New Delhi? We are going to talk about Digital Health Solutions alongside the healthcare continuum and how mobile health is restructuring healthcare delivery. Join us! Get you free ticket here. Digital Health Startups from India, are you ready to join the future? Written by Tjasa Zajc on March 3, 2017 . Posted in India. MEDICAL FAIR INDIA 2017 is approaching fast and Future For Health team (FTR4H) is very excited! Why? Because lively discussions, inspiring pitches, good energy and networking with creative people is always something to look forward to! That is exactly how our FTR4H Lab & Lounge at MEDICAL FAIR INDIA 2017 will look like. Join us! Write to Bhardwaj Love (BhardwajL@md-india.com), to take part in our programme! If you do not want to pitch, register for the “FTR4H: Digital Health futurists Reception” in Delhi on April 7th! Which VIPs will you meet at the FTR4H – Lab & Lounge event at http://www.medicalfair-india.com/? The FTR4H health lounge will be featured to the 13,000+ healthcare professionals who will be attending Medical Fair India 2017. In terms of Digital Health angels, mentors and the venture capital ecosystem, we have representatives present of companies like Bertelsmann India Invest, HealthStart, iB Hubs, Peppermint VenturePartners, pi Ventures, t-hub, Utilis Capital Advisor. 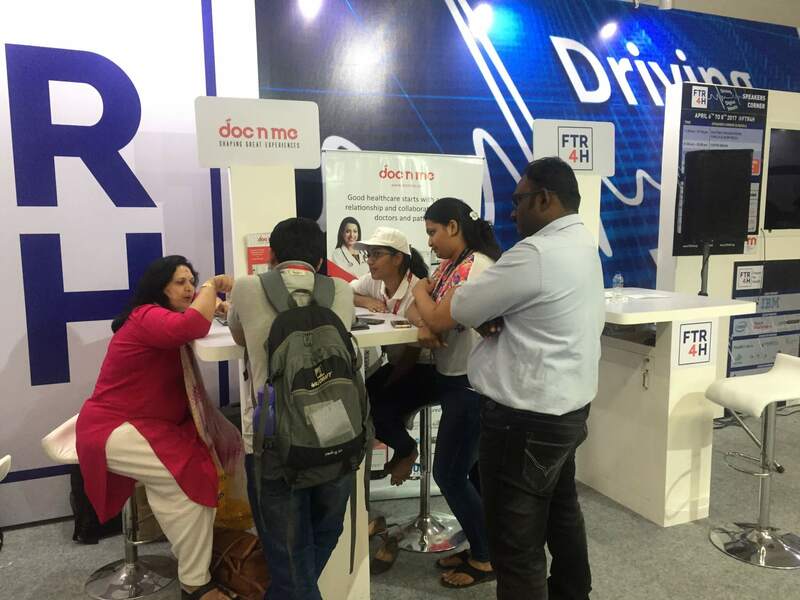 Will the Medical Fair India (MFI) floor be open to FTR4H – Lab & Lounge participants? 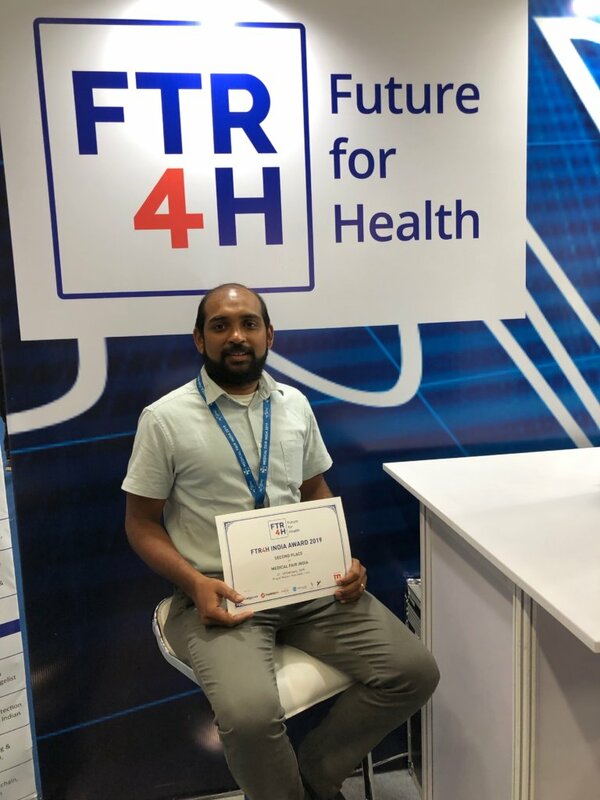 Yes, FTR4H is an integral part of Medical Fair India, and it will be open for MFI visitor to visit FTR4H and vice versa. MFI is expected to be attended by 13,000+ healthcare professionals. “Will the Pitch Your Solution” be open for Medical Fair India participants & visitors, or will it be restricted to FTR4H Lab & Lounge visitors & participants? The opportunity to pitch will be restricted to FTR4H lounge participants (Sponsors, Startups) but every visitor interested in Digital Health can attend it. Who are the Industry experts who will be moderating and judging the Digital Health Panel discussion & the “Pitch Your Solution” competition? What are the parameters for presenting at “Pitch Your Solution”? Each startup will have 5 minutes to pitch every day during the whole fair (3 times). This is no competition, but a presentation offering you an opportunity to practice your pitch among your targeted public and get valuable feedback. What is the format of the “Digital Health Panel” discussion? When will the topics for the discussion be made known to the participants? Each startup has one pitch and one panel discussion per day. The panel discussion will be held with 5 startups in total plus a moderator. The topic will be decided based on represented solutions. Overall topic is how Mobile, IOT, AI and Data changes healthcare in a mobile-only country like India. Are both the “Pitch your Solution” and “Digital Health Panel Discussion” part of the FTR4H – India competition? No. All exhibiting startups at the FTR4H lounge automatically qualify for participation. The FTR4H India Award is a dedicated award ceremony taking place on Friday, April 7th, at 4 pm at the FTR4H lounge. 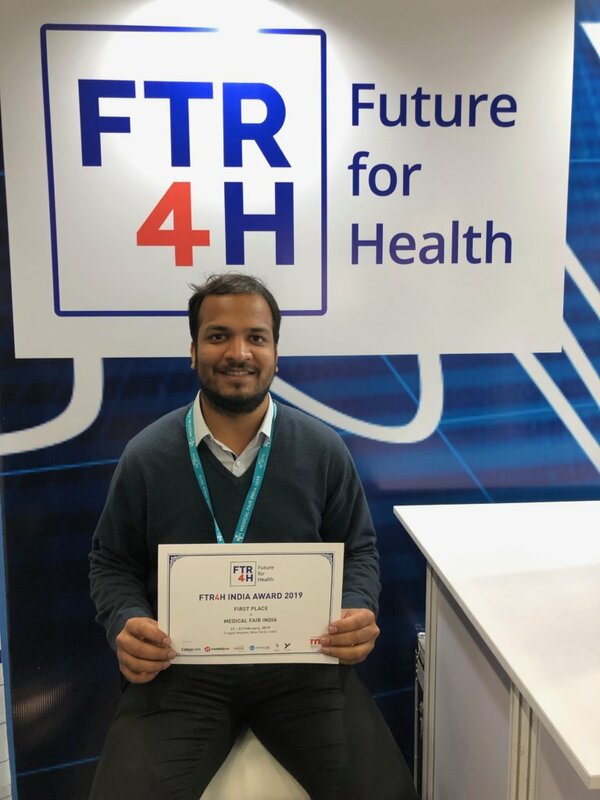 What are the benefits of the FTR4H India Award? Are there mentorship opportunities to be gained from the award? The winner of FTR4H will get a mentorship by HealthStart Accelerator for their upcoming Accelerator programme. 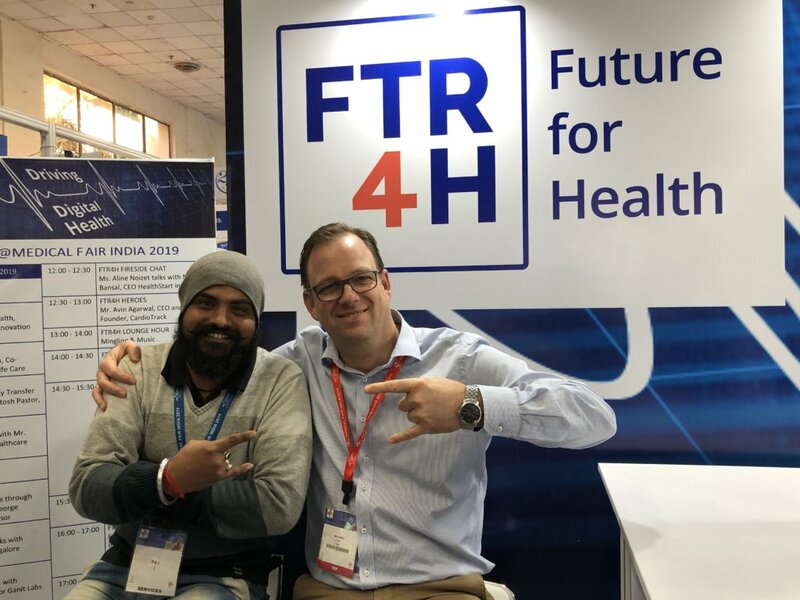 FTR4H acts as a Think Tank and connector of Digital Health ecosystems in China, Europe, India, Israel and the US with the World of MEDICA. The winner of FTR4H India Award will receive a global recognition through our global initiatives and exposure on our website: www.FTR4H.org. Who is in the audience for the Blog Post and the teasers? How big and diversified is this audience base? 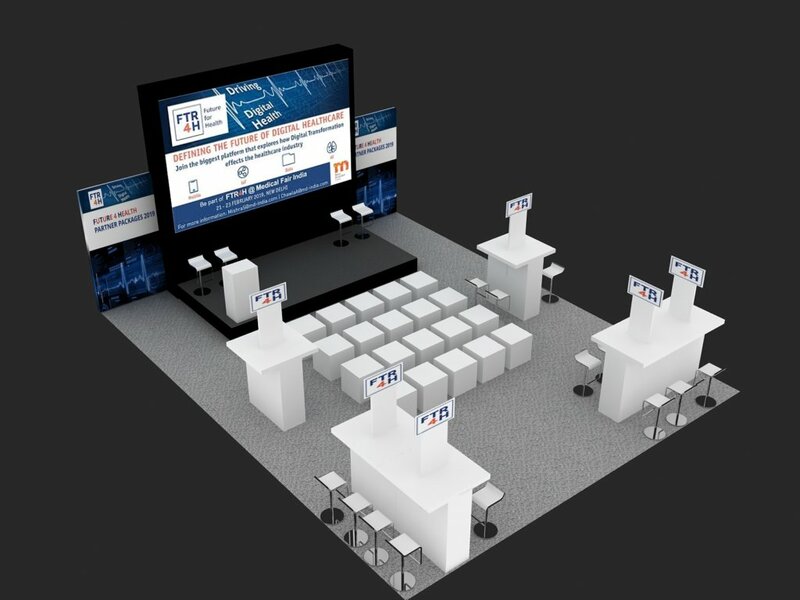 The FTR4H website is promoted on all Medica Trade Fair websites corresponding with the global roadshow, therefore the attracted audience are experts from the MedTech industry from around the globe. Written by Tjasa Zajc on March 1, 2017 . Posted in India, MEDICA. India has more than 5 million qualified professionals working in the healthcare industry. There are around 1 million doctors and 2.5 million nurses. This workforce is growing at a rate of more than 10% per annum. 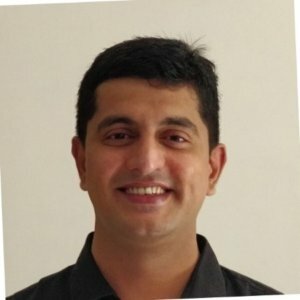 If India is a puzzle to you, this short interview with Mayank Sharma, one of the owners of Medhoop – a platform for healthcare professionals and industry in India, will give you a nice introduction into the current state of the trends in the digital health startup community in India. And why it is a good investment to take part in events such as Medical Fair India 2017, held from 6-8 April in New Delhi. “We aim to create an ecosystem in the healthcare industry for all the industry stakeholders. 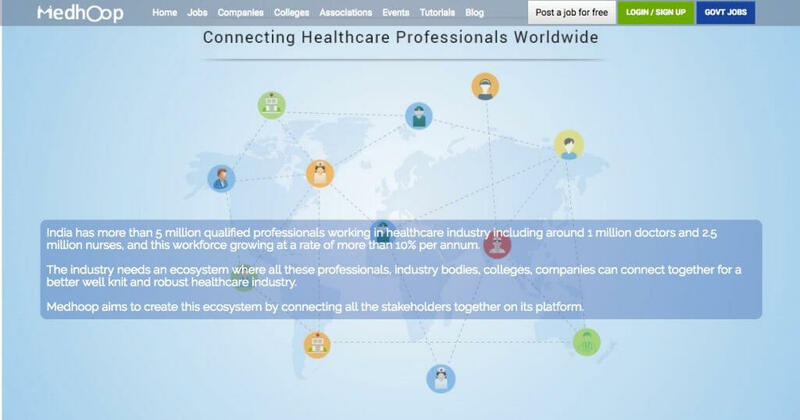 Everyone, from medical students, colleges and teaching institutes, healthcare providers, Health-tech, medical devices and consumables industry, thought leaders and startups, can connect seamlessly and grow together,” This is Sharma’s brief description of Medhoop. The size of the country is keeping the healthcare industry in India fragmented. The disconnect is making the industry inefficient and uncompetitive. For this reason, digital health development is so much more promising here. Let’s start with the basics. What are the three digital health trends to watch out for in India? 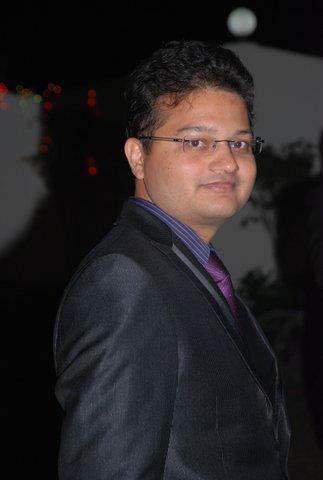 Mayank Sharma, one of the owners of Medhoop. The Indian healthcare industry is now growing 360 degrees. Healthcare providers are not only focusing on developing world class healthcare physical infrastructure, but also on integrating technology. All this aims at making treatment and information closer to patients. Among major trends I would highlight mobile health (mHealth), on-demand healthcare, EHR/EMR solutions, healthcare aggregators and telemedicine. How developed are these segments? The mHealth space is probably the hottest in the segment. 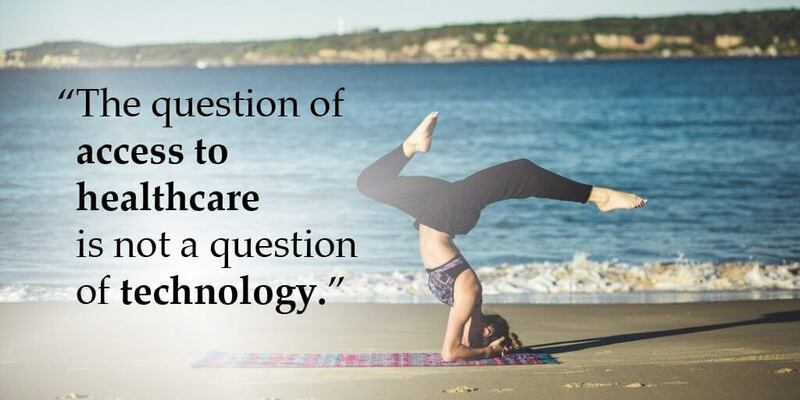 It is being further augmented by wearable gadgets that monitor health statics on a real-time basis. There are startups integrating existing technologies with concepts like telemedicine, doctor on call and remote monitoring of patients. On-demand healthcare is fit for an urban population which seeks everything instantly. If possible, they want it available on their smartphones. Startups understand this need. EHR industry is on the rise, looking to capture all the information they can. Not only to provide better health care for patients, but also for system improvements. From cutting treatment costs, research purposes, giving patients access to their health records online, to changes in regulatory environment. What does the startup community in India look like? India has been a country of startups for a long time. But the real recognition is happening now – with the rise of Startups Unicorns. We have Flipkart, Snapleal, Taxi aggregator Uber (prime competitor to Uber in India), online payment solution Paytm. Social media and growing internet penetration has opened an altogether new growth avenue for startups. What about the digital health community specifically? The digital healthcare community in India is growing at a very rapid pace. From hospital/doctor appointment booking solutions, EHRs, diagnostic lab aggregators, mobile health devices – innovation and new ideas all around. Today we see a lot more entrepreneurs in the digital health and healthcare space compared to 5-8 years ago. What contributed to this acceleration? At first, the healthcare community has been hostile to new technologies and experiments due to the inherent nature of its business. But slowly, the awareness levels and aspirations of doing things faster and better is positively affecting healthcare innovations and digital health technology. Companies like Practo have already made it big and are serving international markets already. Which cities are leading in terms of accelerating innovation? How does Delhi rank in this community? Bangalore leads the list, closely followed by Delhi, Gurgaon, Mumbai, Hyderabad and Chennai. Not surprisingly, we also have beautiful healthcare and health-tech ideas coming out from comparatively smaller cities like Jaipur and Ahmedabad. I myself come from Hathras, a very small town, and now residing in Delhi, so let’s say innovation has no boundaries. What were the digital health biggest investments in 2016? There is significant development and a number of startups working on services like pharmacy or lab services aggregators, remote monitoring healthcare devices and online doctor or hospital discovery. Startups which attracted major investments in 2016 were majorly from the SaaS segment. Practo, Healthkart, 1mg, and Goqii were among the front runners in a list of healthcare investments by investors. Which are your Top 3, 7 or 10 startups for 2017? In-Doctor Network space: the two companies clearly standing out are DocPlexus and Curofy. Both of them are fulfilling the need of doctors to be able to consult cases online right from their mobile phones and build their own professional network. It would be interesting to see what route they take next. In-Doctor Discovery segment: booking platform Practo had disrupted the industry before anyone could even think of an idea such as online booking of appointments. Lybrate (online doctor database gives you access to over 90,000 highly trained medical experts) has been able to stick it out in 2016 and will, it seems, continue to do so. Then there is CrediHealth, with the tagline ‘Your Medical Assistance’ doing exactly the same. Within its services, it offers second opinions, doctor selection and surgery planning to an altogether other level. I am sure these companies will be further innovating and disrupting this space. Where can Startups present their solution to the wider public? Are there many events such Medical Fair India? There are multiple events on medical equipment, lab equipment, medical specialty-specific devices and pharma in India. You are a partner of Medical Fair India. Where do you see the benefit of this collaboration? It matches with our belief that as a healthcare ecosystem partner, we have a responsibility to represent all the healthcare stakeholders and engage with them. 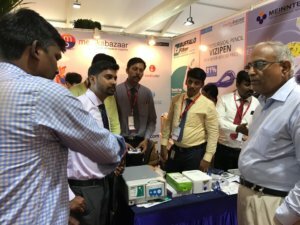 This year Medical Fair India combines equal opportunities for healthcare companies as well as medical and healthcare technology startups, which is an encouraging trend. 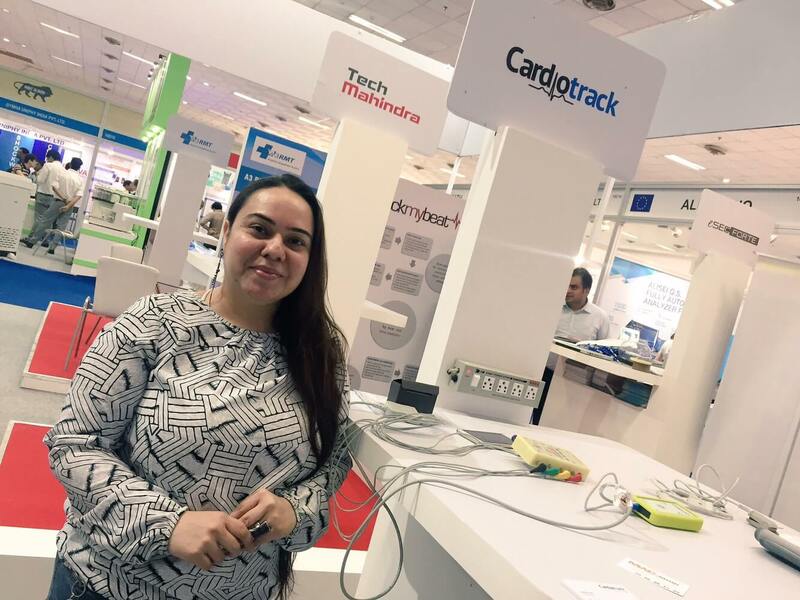 What can startups expect from Medical Fair India? The most important part of such expositions and fairs is networking with various industry stakeholders. Participation offers understanding of new dimensions of the industry, understanding the demands, meeting customers, buyers and a lot more. 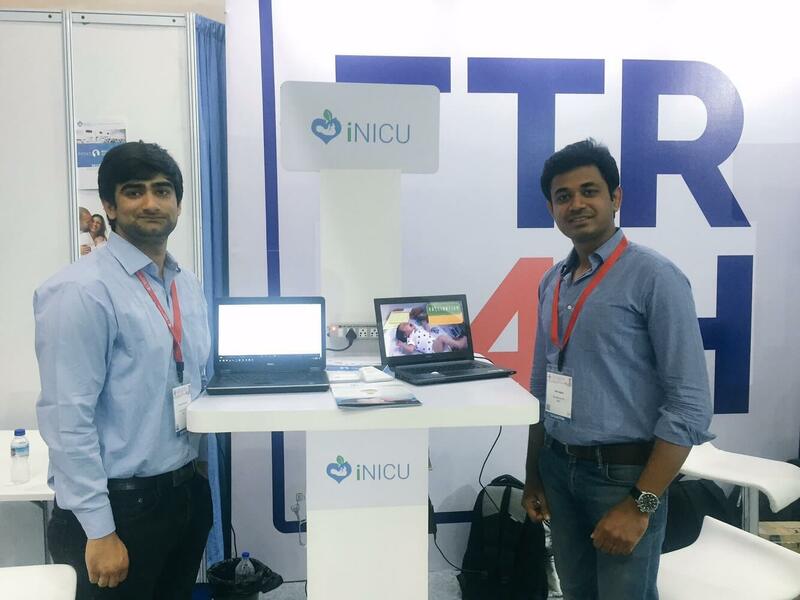 This season Medical Fair India integrates FTR4H (Future For Health) platform where healthcare technology startups can participate. Medhoop also plays a critical role of bringing these startups to forefront, connecting them with industry, prospective customers, investors and a lot more. Among other things, we are organising mentorship hours for startups. So there is a lot for startups to gain.